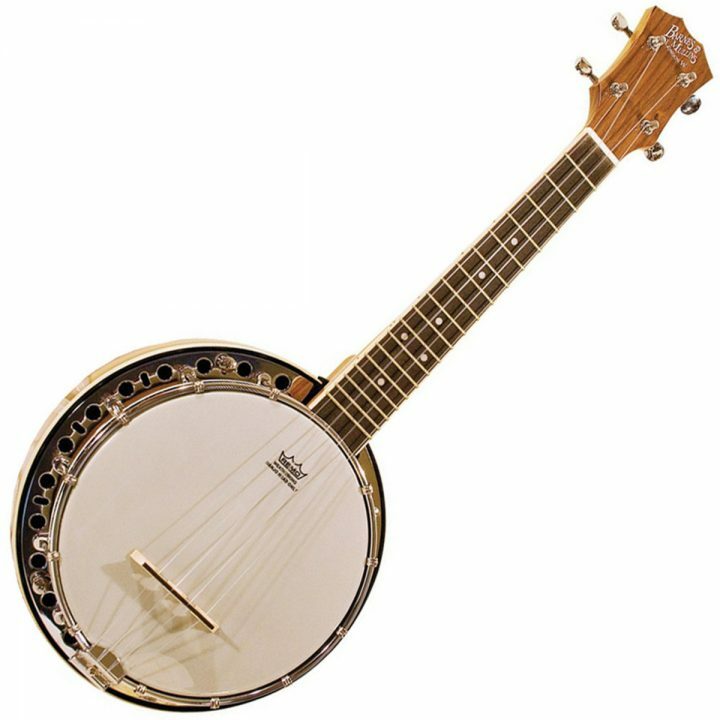 The Barnes & Mullins Banjo Ukulele is a hybrid folk instrument that features a Mahogany resonator with a Remo 8″ weatherking coated head, offering both unique looks and sound. With a gorgeous antique stain gloss finish, a no-knot style tailpiece and an 18 fret Rosewood fingerboard with dot inlays, this stylish instrument will make you stand out on any stage. Other features include open gear tuners with chrome buttons, a Maple bridge with a Rosewood tip and a Mahogany neck.